Press Release: Producers Michael G. Wilson and Barbara Broccoli, EON Productions; Gary Barber, Chairman & CEO, Metro-Goldwyn-Mayer; Michael Lynton, CEO, Sony Entertainment, Inc, and Amy Pascal, Co-Chairman of Sony Pictures Entertainment today announced that Daniel Craig will once again return as the legendary British secret agent in the 24th James Bond film and Sam Mendes will also return to direct the screenplay written by John Logan. The film is set for release in UK theaters on October 23, 2015 and in US theaters on November 6, 2015. Commenting on the announcement, Wilson and Broccoli said, "Following the extraordinary success of SKYFALL, we're really excited to be working once again with Daniel Craig, Sam Mendes and John Logan." "I am very pleased that by giving me the time I need to honour all my theatre commitments, the producers have made it possible for me to direct Bond 24." "I very much look forward to taking up the reins again, and to working with Daniel Craig, Michael G. Wilson and Barbara Broccoli for a second time," said Mendes. 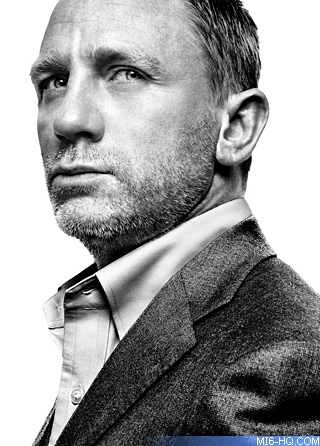 Barber added, "We are thrilled to reunite the extraordinary talents of director Sam Mendes with our star Daniel Craig for the next great Bond adventure." He added, "As evidenced by the phenomenal success of our last collaboration with EON Productions and Sony, the incredible legacy of this 51-year-old franchise continues to amaze." Lynton and Pascal said, "It's a privilege to work on the Bond films. EON, John Logan and Sam Mendes have come up with an extraordinary follow up to SKYFALL and we, along with our partners at MGM, can't wait to share this new chapter with audiences all over the world."